If you've ever enjoyed a glass of wine, a cup of yogurt, or even some spicy kimchi, you probably know that fermentation can produce food and beverages that are not only delicious, but also have some significant health benefits. But you've probably never thought that fermentation would have anything to do with your skin care. It turns out, the same process that can transform our foods can also contribute to making an ingredient to transform our skin. A molecule that's received a lot of attention lately is resveratrol. People have been very excited about the health potential of resveratrol because it's found in red wine and dark chocolate. Now, I wish I could tell you simply to drink red wine, eat some chocolate, and enjoy your perfect skin. Unfortunately, resveratrol in food, although healthy, isn't quite that powerful. However, researchers have found a way to make it more potent by fermenting it. They've used a microorganism called Pichia pastoris in this process, which feeds on the resveratrol and metabolizes it completely. 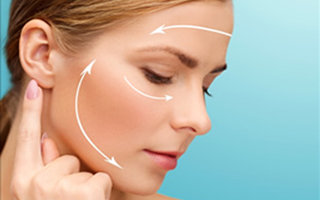 The resulting byproduct is both anti-inflammatory and helps to stimulate collagen production. A study using the fermented resveratrol confirmed that applying the product for 28 days results in fewer fine lines and wrinkles. One group used the fermented extract. The other used an SPF 8 lotion along with an extract containing Pichia ferment, but no resveratrol. The group using the resveratrol extract saw a change in skin firmness, facial elasticity, and overall appearance. 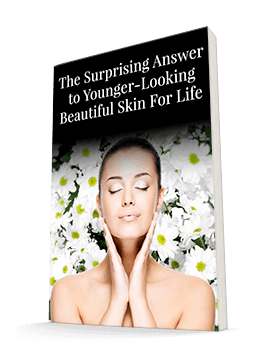 The fermented resveratrol extract also lifted the skin, making sagging much less noticeable. A different study found that the extract contributed to the production of Type IV collagen, which skin cells need to stay intact. Another study showed that it significantly reduced the production of a pro-inflammatory enzyme when applied topically. Clearly, fermented resveratrol is powerful! But you might think that an ingredient made through fermentation would be impossible to find. Or you might even expect it to smell sour, as fermenting foods tend to do. But if you're using Système 41's Night Treatment, you're already experiencing the benefits of Pichia Resveratrol Ferment! And we certainly haven't been receiving complaints that it smells funny — just people satisfied with their firmer, more elastic-looking skin! We've made it our goal to include the best, most effective ingredients in our skincare products, even when they come from surprising sources. We're proud to include Pichia Resveratrol Ferment in our Night Treatment so that you can access and enjoy the benefits of this new and exciting discovery in the world of skincare.